The Winter weather has more of an effect on my hair than it does my skin. To everyone who prescribed this to me on Twitter, you were right., very, very right! So far I have only tried out the Palmer's Olive Oil Shampoo and Conditioner and can not believe how moisturising yet lightweight it is. I'm not overly keen on the scent but can live with it should continuous use inject more life into my locks. After most washes I use a leave in conditioner hence why I purchased Palmer's Olive Oil Leave in Conditioner, both times I have reached for the aforementioned duo I haven't felt like my hair needed the extra hydration which really is saying something. I will of course put the leave in conditioner to use, as will I with the Palmer's Olive Oil Hair Care Gro Therapy which promises to encourage hair growth. I'm not overly keen on oil based hair care products and yet I have purchased the Palmer's Olive Oil Conditioning Spray Oil. 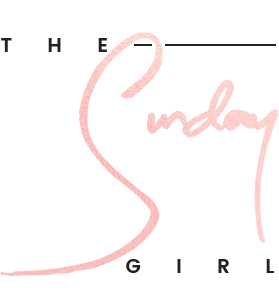 I have yet to pluck up the courage to use it - I'm planning on waiting until I have a few days off with nowhere to be in-case it leaves my hair an oily mess. That admission aside this seems to be all in all a really promising hair care line up. 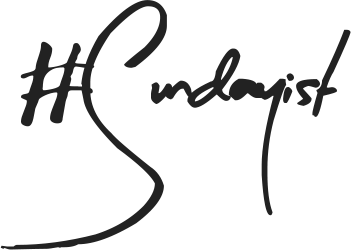 Unlike the olive oil collection above I have tried nearly all of the products within the Palmer's Coconut Oil Hair Care range. I have mentioned that the Palmer's Coconut Oil Protein Pack and Strong Roots Spray are easily some of my favourite hair care products ever but don't feel as strongly about the shampoo. The Palmer's Coconut Oil shampoo didn't really do much for my hair but the conditioner is pretty great - deeply conditioning yet light weight not to mention it smells great. 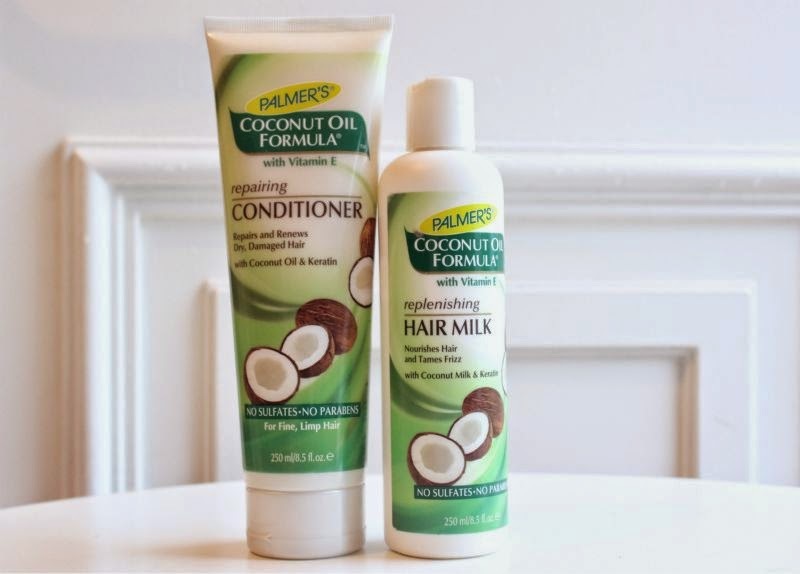 The one product from said range that I have not tried is the Palmer's Coconut Oil Replenishing Hair Milk which seems to be a leave in conditioner for both dry and damp hair. I'm not completely sold on it as of yet but will update with a full review in a few weeks. I could have sworn that I placed the coordinating shampoo in my basket but apparently not. This somewhat annoys me as I don't really like to mix and match with shampoo and conditioner so before I begin to trial this I will have to go back for the shampoo. Fickle? Me? Never! 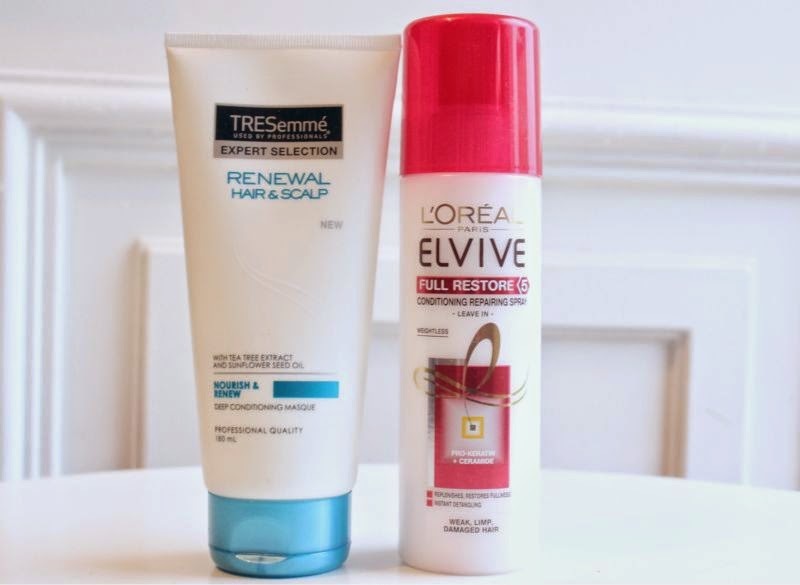 Along with dry, dull hair my scalp is a little irritated and having using the Tresemme Renewal Hair & Scalp Tonic and finding it to be nothing but beneficial I figure this is a great addition to my hair care stash. I should really point out that I switch around my hair care really frequently as my hair gets weighed down rather easily. A new addition that was purchased on a whim, I go through so much leave in conditioner that I pretty much anything on offer. This has to be one of the lightest conditioning mists I have ever tried and yet it does a pretty great job of de-tangling and leaving my waves/curls pretty frizz free. Although none of the above product was all the expensive individually it does add up quickly when purchasing in bulk. Here is hoping my little investment pays off. Everything looks great! 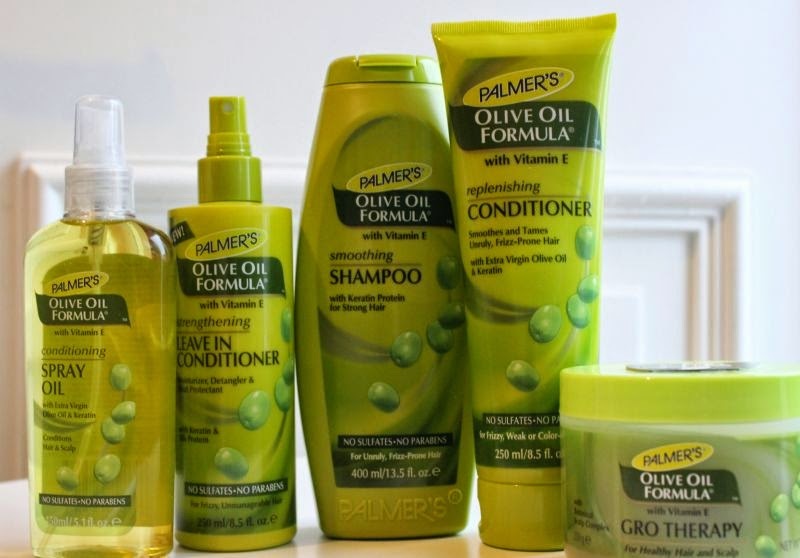 I would love to try some of Palmer's products in the future! 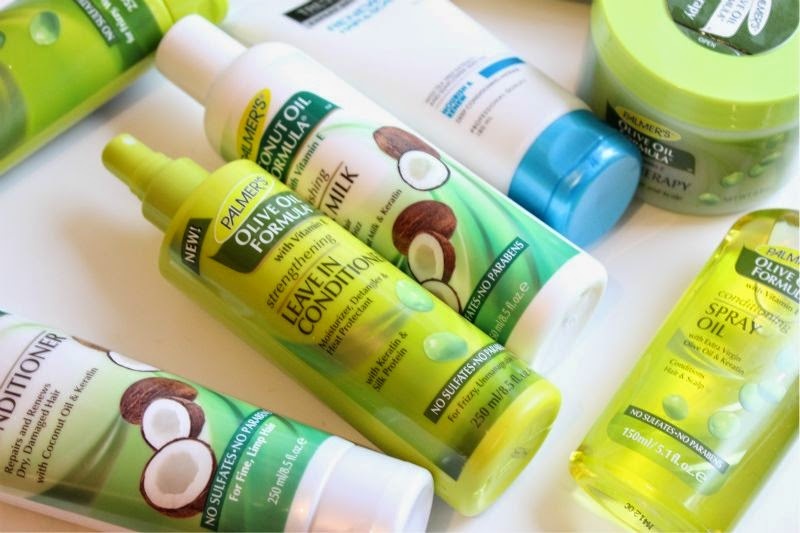 The coconut range looks amazing, definitely up my street! Ive also been really liking the Palmers products recently, but scent could definitely be nicer! The olive oil range sounds so dreamy - must try! I've never tried these before but I'll check them out next time I go shopping!